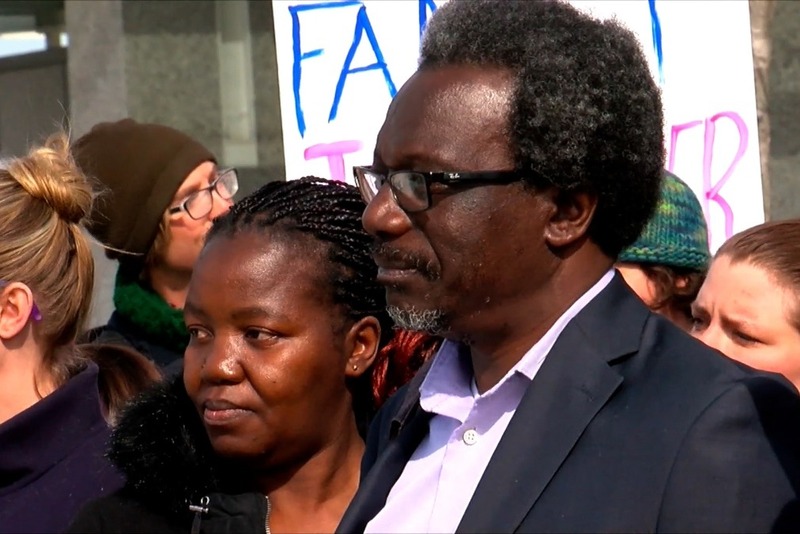 Immigration and Customs Enforcement (ICE) has told Augsburg University Professor Mzenga Wanyama, a pillar of our community for decades, that he has just ONE MONTH before a meeting where they plan to move forward with removing him from the country. We cannot let this happen. Current and former students are organizing this fund to help cover Professor Mzenga's representation, but we need your help to get there - please give what you can to help us keep this dedicated educator and leader in his home and his community. It's our responsibility to help Professor Mzenga, because he has invested so much in us and our community. He is Augsburg's only professor in Postcolonial thought, and our leading scholar in African American and African literature. He is also a loving husband and father who has been recognized in the past several days as an invaluable community leader by Mayor Jacob Frey, Augsburg University President Paul Pribbenow, and thousands of others. In fact, if everyone who signed Professor Mzenga's change.org petition gave just a single dollar, we'd meet our goal right away. And it's extremely important that we do - there's no time to waste. $10,000 won't begin to cover everything, but it will make a crucial difference with the little time we have to fight. This campaign is managed by Aaron Wells, a friend and former student of Mzenga's. 100% of funds raised will be provided directly to Mzenga Wanyama and his wife. City Pages: If immigration is now merit-based, why are feds targeting Augsburg professor? Thank you so much for your support. With your help, we're well over half way there! Unfortunately, Professor Mzenga's next ICE meeting is coming up even faster than expected on April 5. Can you help us get the rest of the way to our goal ASAP by sharing this page on Facebook and Twitter? 100% of these funds will be forwarded directly to Mzenga Wanyama and his family so they can secure their own representation and stay in their home, in our community - I know that's what we all want. Please share this campaign today and ask your friends and family for their support so we can get the rest of the way there. Thank you again for standing with Mzenga.